• "What Do I Actually Need to Believe?" • "What Is At Stake Here?" 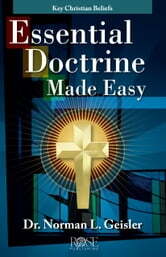 Essential Doctrine Made Easy will also show you where to find the answers in the Bible. The ebook also includes a glossary of Christian terms, a chart showing how other religious groups treat these essentials, and much more. The penalty for sin is death—not only physical death (separation of the soul from the body), but also spiritual death (separation of ourselves from God). The penalty we owe to God was paid by Christ through his death on the cross. The acceptable payment had to be perfect, complete, and without fault. Christ, the perfect Man, gave Himself in our place, so that whoever believes in Him will not die (physically and spiritually) but have everlasting life (John 3:16). Question One: What Do I Actually Need to Believe? Only Christ's sinless life, sacrificial death and bodily resurrection can bring us to God. Question Two: What's at Stake Here? The unique nature of Jesus' work of salvation. 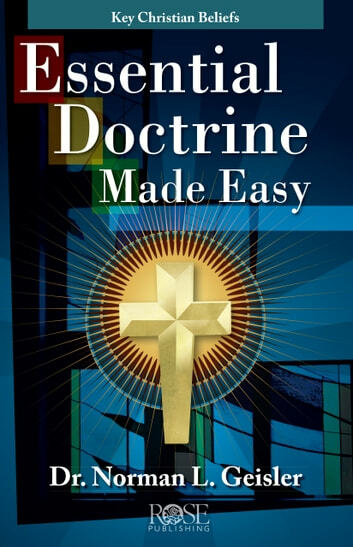 Essential Doctrines Made Easy also addresses belief in the inspiration of Scripture and the methods of interpretation, which are important to faith, although not a necessary factor in salvation. A glossary of Christian terms is included, defining 24 terms which are widely used but not always understood, such as orthodoxy, mediator, grace, deity, and soteriology.